One of the best ways to obtain necessary nutriments in the diet is through the intake of raw fruit and vegetable juices. Most people might not be aware of this fact, but the nutrient content of processed juices and natural ones are not the same. Unlike natural juices, processed juices are usually pasteurized which leads to nutrient depletion. So if you want to get the best of every single nutrient that comes with fruit juices then you might want to consider making them yourself. With the right tips on how to go about it, you can start right away. Read on to find out more on how to make fruit juice at home. 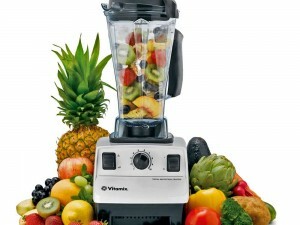 What kind of fruits and vegetables are you looking to blend? You can have as many varieties as you wish. Have them washed and rinsed, then peel off all the parts you know might be tough or bitter. For instance, if it’s a pineapple, remove the eyes and the fibrous core. Also you can split apples, cucumbers, watermelons and similar fruits and vegetables, and have their seeds removed as well. Any juicer will get the job done for you. Whether it’s an electric or a hand juicer, make sure it’s clean before use. Depending on how you will be juicing, have your fruits chopped down into appropriate-sized pieces that will fit in the juicer. Remember to de-seed fruit or vegetable and watch thoroughly afterwards. Most people prefer only fruits, but for a better sense of taste, and benefiting from more nutrients, add vegetables to the mix. Fruits and vegetables already have abundance of natural sugars already, but if you have spices and flavors that you think might give you the best sense of taste you can include them as well. Once you have all your fruits, vegetables and spices all in the juicer, voila! Make sure they are properly mixed to your satisfaction, before drinking. Enjoy!